Created the Newsletter Archive and made available online the first and the only newsletter issue that was sent around back in April 2012. I believe it still has some historical value. All the future issues of the Numerology School Newsletter are going to be made available in the archive at some point after they were sent to subscribers. Updated Numerology Calculator to reflect the latest ideas about Master Numbers and Karmic Numbers calculation. There was Eru, the One, who in Arda is called Iluvatar; and he made first the Ainur, the Holy Ones, that were the offspring of his thought, and they were with him before aught else was made. And he spoke to them, propounding to them themes of music; and they sang before him, and he was glad. Why do I believe that a poetic description of the creation of the World by Tolkien is actually a possible definition of numerology? In the last hundred years or so, physicists have discovered that matter is only perceived as solid and unchangeable, but in reality the whole world is made of vibrations. Every minuscule particle is a wave in disguise. Like the song of the Ainur, everyone and everything in this world is a complex combination of vibrations. Now, keeping in mind that each vibration is characterized by its frequency, and a frequency is basically a number, wouldn't it then make sense to say that the whole world is made of numbers; that everyone and everything can be described as a complex combination of numbers? This is exactly the main idea behind numerology. Numerology is an area of study and intellectual tradition that addresses the relationships between the hidden, philosophical, esoteric meaning of numbers and their manifestation in human life. The general aim of the practical numerology is to find out the life purpose of a specific human being (or, in a wider sense, a nation, a state or an enterprise), his or her true potential, and also to find the ways of revealing and developing that potential. Very briefly, numerology studies the meaning of numbers in human life. Let me begin with a short story. Several years ago I decided to create a simple and free numerological calculator for mobile phones. It calculates only one—but arguably the most important—of the numerological parameters, the Life Path Number, and then offers a description for it. Descriptions for the Life Path Numbers were translated from a numerology book in Russian that I wrote many years ago. At some point, I was testing a new version of Your Life Path app before releasing it to the App Store. It was soon after the death of Steve Jobs, and so I decided to see what my calculator would say about the great visionary's Life Path Number. When I saw the result, I felt gobsmacked! The destiny of those whose Life Path is One is to be the first in whatever they do. They are born to be leaders, pioneers, initiators. It can be difficult for Number Ones to follow someone else, as they always tend to try to take control of situations and be at the forefront of whatever is going on. No matter what they are doing, Number One people will always try to be unique in one way or another, constantly attempting to do things no one else can do. As a result, they may often find themselves in isolation. They are best suited to occupations that require initiative, inventiveness, self-reliability and courage. While I am not new to numerology, I have never before seen an interpretation of a Life Path Number which described a person so precisely—especially taking into account that the interpretation wasn't written with that person in mind. Calculating people's numerological profiles, you will often find that their numbers do reflect those people's individualities and lives in an interesting and informative way. But also, on many occasions, you will find that you just cannot figure out how a particular number can be related to a person, even if that person is you. Why is that? One reason might be that not everyone is a genius. People like Steve Jobs spend all their life devotedly following their Life Path, which they might perceive intuitively, and therefore they manage to achieve some amazing results, clearly reflecting the essence of their Life Path Number. Most of us, however, live normal lives. We are strongly influenced by opinions and expectations of other people, we are trying to fit in and to be more or less like everyone else. Yet, through the study of numerology, we might be able to discover our hidden potential, and then to reveal that potential, to develop it. Who knows how many geniuses lie dormant, hidden within us? But that’s not all. There is another reason why a specific interpretation of a number might be more precise for one person than for another. Each number can be seen as a universal principle of creation with an endless array of meanings and associations. Practical numerology uses interpretations that represent a very narrow and limited range of all possible meanings, usually based on an experience of a small group of practitioners or written in such a way as to describe a specific category of people. Remember that no single numerological interpretation is exhaustive. People who have Number One prominent in their profile can strive to be a Number One in a specific area of life, or they are perhaps very single-minded, or they might be lonely. They could even represent a mixture of all these qualities. The art of numerological interpretation is in the openness to the wide array of numbers' meanings and associations, and in the ability to understand how different combinations of numbers work together. It would not be an exaggeration to say that a student of numerology typically studies the meaning of Numbers during his or her whole life, continually discovering more and more about them and learning to understand their manifestations in a more profound way. This is why I've created a section for Number Meanings. Within that section, I am going to collect as wide an array of information about numbers as possible in order to assist us in our perpetual learning. It’s a good idea to start your studies with A Brief History of the Pythagorean Numerology. That information can help you to learn something about Pythagoras that you've never heard at school. Then after that, just follow the sequence of the Lessons of Numerology, but make sure to follow my recommendations on how to approach the lessons. It is important to get plenty of practice, so you’ll want to devote time to reviewing each and every concept. 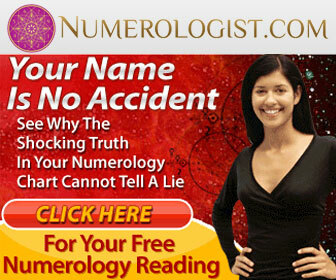 You will find the Numerological Calculator very beneficial. Initially, it will be very simple, but gradually, as I'll keep working on the website, the complexity will increase, following the course of the lessons. When you'll find yourself in a philosophical mood, or maybe stuck trying to understand some unusual combination of numbers, please visit the Number Meanings section and make a good use of the information available there. Finally, don't forget to subscribe to my newsletter. In it, I will notify you of any changes or additions to the Numerology School, demonstrate interesting examples or cases from my practice, and offer other useful hints. For me, numerology is like a torch that helps to better see and understand people and the world around me. I hope it will bring you many insights and discoveries too.